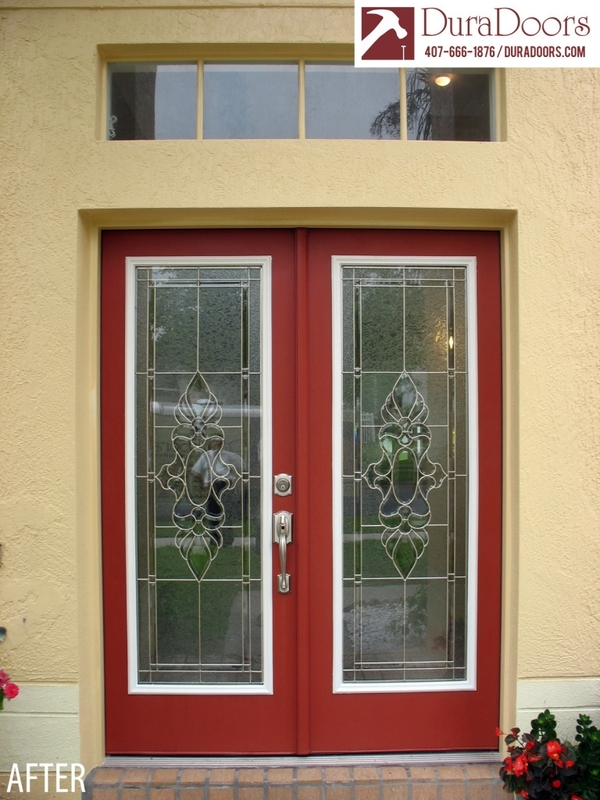 We transformed this double door entrance for customers in East Orlando, FL, by installing decorative glass in their existing doors. 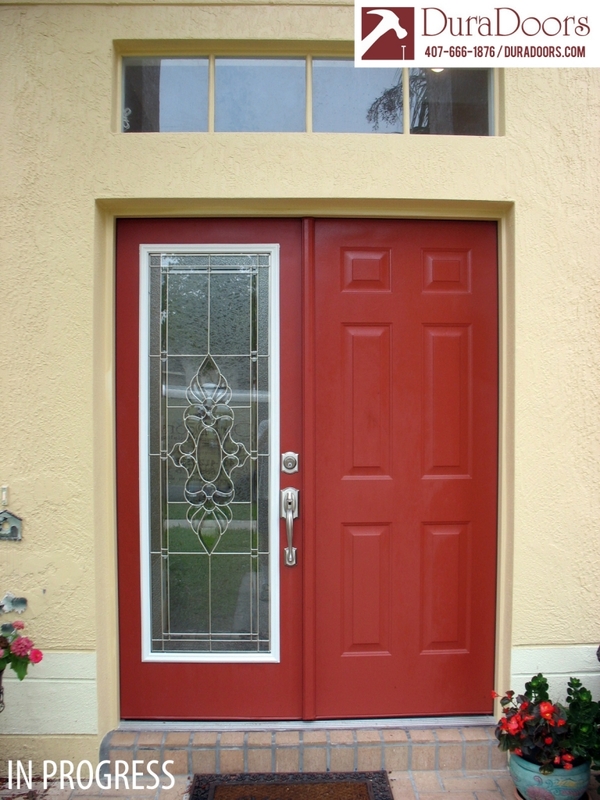 They wanted to beautify their front entrance as well as bring more light into their home. This ODL Heirlooms decorative doorglass with its deep cut bevel clusters, granite and glue chip glass, along with its satin nickel caming, creates a classic design that endures. 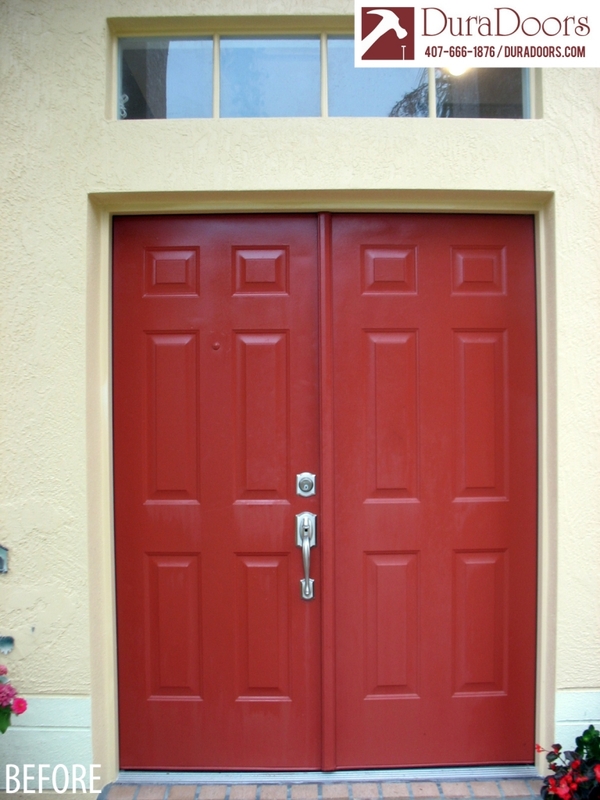 This transformation only took 2 hours, and our customers loved their new entrance.